This week Chuck Thacker has won the ACM Turing Award. This is good. I had the privilege of working near Chuck at Xerox and for him at Digital, back in the day. I started at Xerox as a grad student intern in 1977, working for Ted Strollo in the Systems Sciences Lab (home of Smalltalk, Alan Kay, Chuck Geshke, and John Warnock). My first project was a power line carrier communications modem. I got to <use> an Alto, which was by itself a transforming experience. Technically this project wasn’t that interesting, but it came out well enough that I was able to talk the lab into letting me stick around. My next project was with John Shoch and the DARPA Bay Area Packet Radio network, which was a network of packet radios around the San Francisco Bay Area, at 100 to 400 Kbps. This was in 1978, mind you, a few years before WiFi. PARCs part of the project was to provide packet switching experience and my part of the project was to design the hardware to interface the Alto to the packet radios. Rudyard Kipling said “An engineer can do for 10 cents what any fool can do for a dollar.” Chuck Thacker, the engineer’s engineer, could do for 10 cents what a mortal engineer couldn’t do at all. With the Alto, in the mid ’70s, that meant building a six MIPS minicomputer, 128 Kbytes of memory, 5 MB disk, and million pixel display, for $20,000 or so. I got to know the innards of the machine fairly well, designing the BBN-1822 interface for the packet radio, and writing the microcode and device driver for it. The Alto had extreme economy of design. The CPU executed a 32 bit microinstruction every 170 nanoseconds, and “hyper-threaded” between 16 micro tasks. The lowest priority task ran an emulator for whatever high level instruction set you wanted: Nova-like for BCPL, bytecodes for Mesa, and different bytecodes for Smalltalk. The other micro tasks were responsible for the Ethernet, the disk, the display, and whatever else got plugged in, like a laser printer controller, or a packet radio. In 1984 I followed Chuck and Bob Taylor to the Systems Research Center of Digital Equipment Corporation. We had 24×80 dumb terminals hooked up to a VAX-785 time sharing system. This was not the same thing as a personal Dorado at all. The first main project was the Firefly (I think the name suggestion was mine, actually), a multiprocessor workstation built out of commodity processors. The first version used the Motorola 68010. Chuck designed the hardware. I wrote the boot rom code. Around then, however, Digital came out with the MicroVAX chip, and we immediately started a redesign. The Firefly used a coherent memory system we called the “snoopy cache”, where each processor “snooped” on the bus traffic of the others to maintain a consistent view of memory. This scheme and its variations became the standard way to build small scale multiprocessors. I designed the MicroVAX CPU modules, Chuck designed the memory system and the display controller. The display controller was another minimalist creation – replacing the “standard” Digital display controller with one that did more and took half the space. He also threw in audio I/O, with, I think, two extra chips and some microcode. A typical Thacker design element for the CPU modules was his choice of a two-phase non-overlapping clock system. This let us use Earle latches implemented in 15 nanosecond 16L8 PALs for all the control logic, without needing any edge triggered registers or causing much heartache about timing. After the Firefly, Chuck turned to networking, building, in 1987 or so, a 100 Mbps local area network called Autonet. I didn’t work on Autonet much beyond design discussions, but I came away as coinventor with Chuck on a routing patent. How cool is that? Chuck’s next big idea, around 1988 or so, was to build a liquid cooled minimalist 200 MHz computer in a single ECL gate array. Bill Hamburgen of the Digital Western Research Lab knew how to do the liquid immersion cooling. Phil Petit of SRC worked on the CPU design. My piece was the level-1 cache modules, designed using 1K bit Gallium Arsenide SRAMs. This was a lot of fun. We never built it, because the project was overtaken by Alpha. Digital’s Alpha chip was a technical tour de force. Chuck’s idea was to build multiprocessor development systems around the chip, to speed Digital’s time to market, and just maybe, to encourage a bit more minimalism among the Digital engineering community. At that time, the spec for Digital’s “BI” bus design for multiprocessors ran to some hundreds of pages. Chuck’s design for the coherent memory bus for the Alpha Demonstration Unit was 13 pages. I designed the I/O system for the ADU. It was built with ECL100K, power dissipation no object, but very fast, and very clean signals. Chuck designed the memory system, and Dave Conroy designed the CPU module. Dave also embodies Chuck’s minimalist spirit. 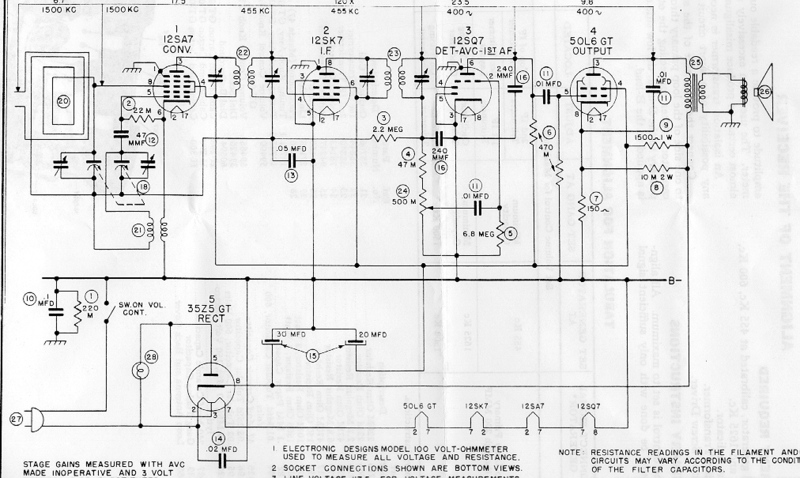 he kept a copy of the classic 5 tube AM receiver circuit on the wall of his cube, with the caption “If you want a job here, remove a part from this design”. The ADU project probably saved a year time to market for Alpha products, and accelerated around a billion dollars in revenue. As others have noted, while Chuck is primarily a hardware designer “a humble purveyor of cycles,” he’s also an architect and programmer. One time at Digital he got an early laptop, with TurboPascal, and immediately started writing cad tools for himself. I’ve gone off in different ways in the last 15 years, but I was able to visit Chuck in his lab at Microsoft last spring. I have to say not much has changed, he was busy designing logic for an Ethernet controller, only this one runs at a gigabit and fits in a corner of the BEE3 FPGA system. I am very pleased at the ACM’s recognition of Chuck’s contributions. Now go back to your offices and delete some logic or code that doesn’t really add anything. You will be one step closer to perfection. My toaster only toasts on the outside, because the center heating element doesn’t. No problem! I will take it apart. Maybe I can fix it. My toaster is held together by tamper resistant screws! No problem! I have a set of tamper resistant bits. …but the screws are down inside holes that are too narrow for the bit. What kind of state secrets are inside this thing?